Cleansing is a great short-term kickstart for long-term results. With cold-pressed juices as your main source of nourishment, you’ll give your body a much needed break from working to digest complex and processed foods. When your body doesn’t have to process bad fats and unrefined sugars, your organs are able to expel poorly functioning cells, reducing inflammation, preventing illness and increasing energy levels. Want to cleanse? Great! Now it’s time to choose how long and at what intensity you’d like to do it. Our 1 Day Cleanse is ideal for those who’ve cleansed before, live a healthy lifestyle and want to do a regular reboot. In just 72 hours of cleansing, your body will start to reset your system, eliminating toxins and boosting your immune system. The longer you are able to safely and healthily cleanse, the more pronounced the benefits. In five days, your body will maximize the benefits and support optimal cell function. If you have never tried juicing before and maybe aren’t currently living at your healthiest, Get Your Glow is the way to go. This package includes a delicious selection of cold pressed juices, power shots, cleanse tonics and herbal tea. As the name indicates, you have tried juicing or cleansing before and are living a healthy lifestyle. This package includes a delicious mix of cold pressed juices–with more green, chlorophyll-rich juices, power shots, cleanse tonics and herbal tea. If you are already living clean and want to enjoy the benefits of our greenest cleanse yet, our Lean & Green package is brimming with alkalising green juices. Home delivery – let us arrange delivery to your home or office, P.O.A. against cleansing as a weight loss method. We strongly advise against starving yourself and recommend continued consumption of healthy fats and proteins, and fiber, regardless of which cleanse you choose. Stopping the intake of caffeine may cause headaches, which is why we recommend scaling back your caffeine consumption the week prior to cleansing. Additionally, reducing your calorie intake may also cause dizziness and lightheadedness, which is why we recommend continued consumption of healthy fats and proteins and fiber throughout your cleanse. That depends on your previous experience and general health. If you are brand new to cleansing, perhaps ease in gently with a 1 or 3 day cleanse. 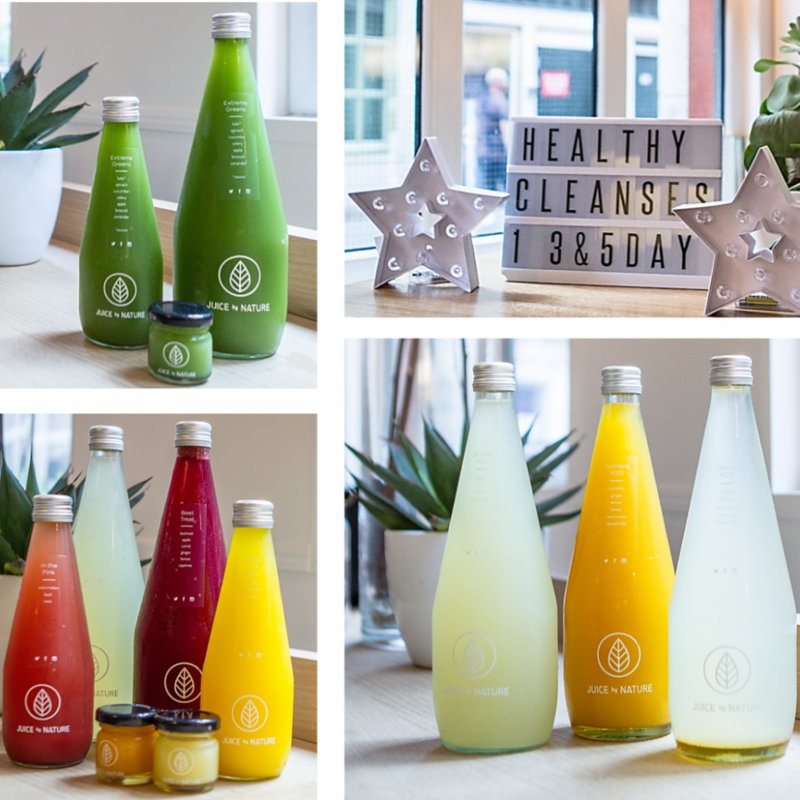 If you’ve done it before and want to maximise the benefits, we definitely recommend a 5 day cleanse. As long as it’s done in a safe and responsible manner, you can cleanse as frequently as you like. Some of our customers enjoy quarterly 5 Day cleanses, while others opt for monthly 1 Day cleanses. Please chat to one of our friendly staff members if you’re not sure what’s right for you. We also have an in-house nutritionist who will be happy to support you before, during or after your cleanse if you wish to make a consultation appointment. If you have existing medical conditions, please consult your doctor before beginning. Cleansing is not recommended for pregnant women or those who are breastfeeding.